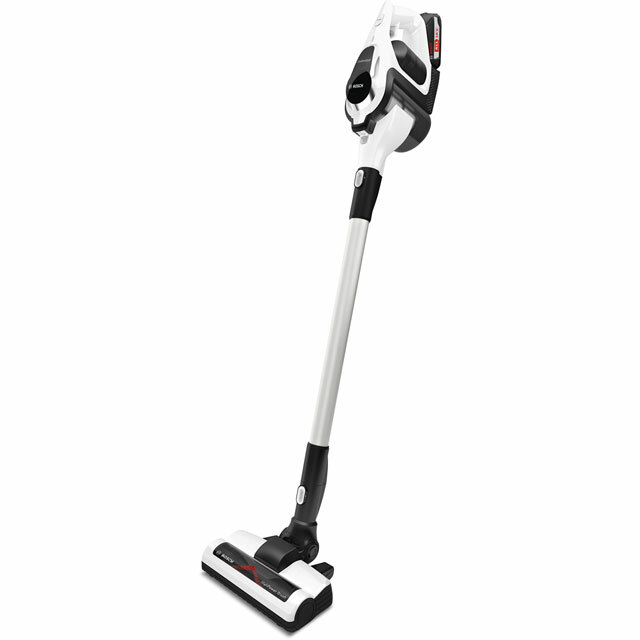 Leave your whole home spotless with this cordless vacuum from Bosch. With a generous 60 minute run time, you can give your rooms a really thorough deep clean. The AllFloor HighPower Brush gives brilliant results on any floor type, so you can clean from room to room effortlessly. With the handy crevice tool, hard-to-reach areas like skirting boards are left spotless. It also has an EasyClean System, which removes the brush roll from the floorhead – making it simple to get rid of any tangled hairs or debris. You can rest easy knowing your vacuum is built to last, as the DigitalSpin motor gives you great results and long-lasting performance. Hoover is lightweight and definitely sleek and easy to use and store, especially if you have a small flat and storage is an issue. The downside is the batterlife as it runs out of power really quickly. Suction could also be much stronger, as it’s very weak unles you use the turbo at all times. Never thought vacuuming the house could be so pleasant. That's probably only due to the fact that this vacuum cleaner makes it much easier to do one of the most daunting things, in my household at least. This is lightweight and get into places that my old vacuum couldn't reach. I've got both laminate and carpet flooring downstairs and the Bosch easily glides from the laminate to carpet with no issues at all. It is a cordless vacuum so a massive bonus that you can take it up and down the stairs and not worry about cords getting tangled or causing a trip hazard. It's a very powerful machine and does vacuum the most stubborn dust in the carpet. Being winter, I'm a shame to say my car hasn't had a clean for some time. With the Bosch, I have finally got on with some cleaning and reaching down the side of the seat is a lot easier. I've actually tested the runtime and I am pleased to say it's 65 minutes. 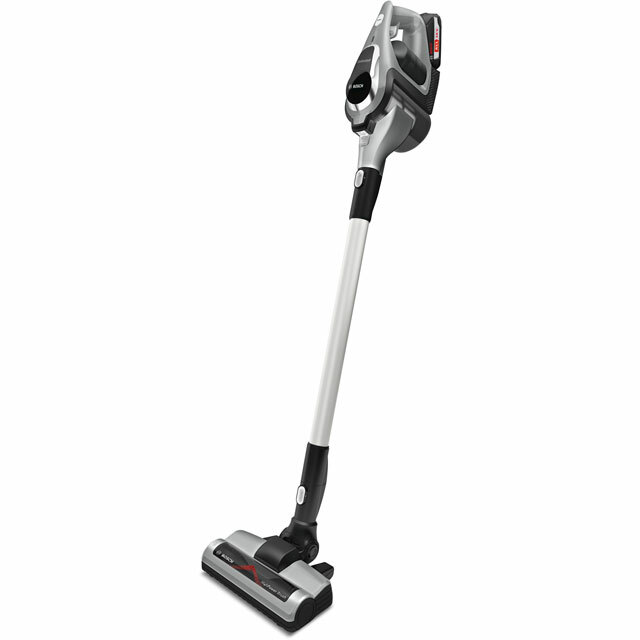 If you can't afford the other expensive brands but want an affordable cordless vacuum, then this is recommended. This hoover is by far the best I have owned. Powerful, lasts up to 45 minutes and you can use other Bosch batteries too, so no need to wait till it has charged. Best thing for me is how quiet it is, would be perfect for parents with babies. Outstanding service from AO as always from ordering to delivery. I couldn't be happier with this product! Looks smart and is a great, spacious product. Would recommend. The Bosch Unlimited cordless is very easy to use. Lightweight , versatile and powerful. I was pretty horrified how quickly the chamber filled with dust- shows how inefficient our old one had become. Only drawback is that it didn’t come with the wall mounted holder so has to be leant against something. Hoping we can get one separately.